SALT LAKE CITY (January 16, 2019) — The Salt Lake City Stars, the official NBA G League affiliate of the Utah Jazz, acquired forward/center Kyle Benjamin from the available player pool, it was announced today. In a related move, the team waived center Willie Reed due to a season-ending right shoulder injury. Benjamin (6-9, 225, Bridgeport) appeared in 33 total games (21 starts) last season with Betsafe/Liepaja in Latvia and King Wilki Morskie Szczecin in Poland, averaging 8.9 points and 6.9 rebounds in 22.9 minutes. 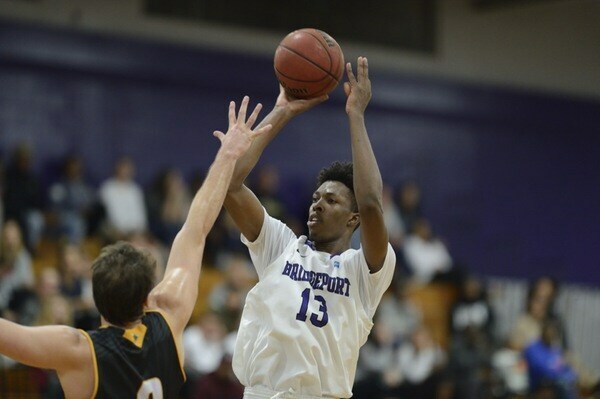 Benjamin competed collegiately at Bridgeport, where he was named the Co-East Coast Conference Defensive Player of the Year in 2017 and earned All-ECC First Team honors. Reed (6-11, 245, Saint Louis) was selected by the Stars with the No. 1 overall pick in the 2018 NBA G League Draft. The NBA veteran appeared in 21 games (all starts) with the Stars this season, averaging 20.1 points, 11.2 rebounds, 1.76 blocks and 1.5 assists in 30.1 minutes while connecting on an NBA G League-leading 66.5 percent from the field. Reed sustained the injury during the fourth quarter of the Stars’ last game on Jan. 14 against the Westchester Knicks. The Stars organization thanks Willie for his many contributions to the team and community this season.